I have an avid interest in holistic healing and believe that Yoga incorporated into daily life facilitates all levels of health, physical, mental and spiritual. My first experience with Yoga was at the age of 14, the local YMCA was where my Mother attended Yoga class and one day she decided to take me along, it was the early 70’s and the class was full of ladies in leotards, the Yoga wear of the day, I found it weird in the best of ways. 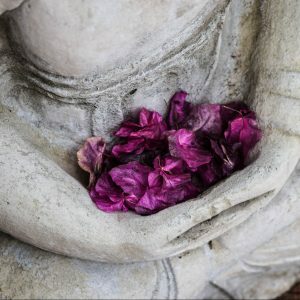 In 2010 after 30+ years of personal practice there was no ignoring the message that I was receiving – to teach Yoga and after 1 year I had completed my 350hr Teacher Training Diploma, since then I’ve continued to learn more and more from from the wealth of knowledge offered by amazing teachers and texts alike. My focus turned to Restorative Yoga and Yoga Nidra after being diagnosed with an autoimmune disorder. For me, these intelligent practices are instrumental in maintaining wellness. I know Yoga has the capacity to transform the body and the mind, bringing health, calm, peace and positivity into our lives. I know this because I have experienced it first hand. I believe that Yoga gives us all a place to feel at home in our bodies. Our bodies are continually communicating with us, Yoga teaches us how to listen, it offers us the space to learn to feel what the body is saying. Yoga helps us to honor our individuality, our uniqueness and enables us to grow with grace and confidence.